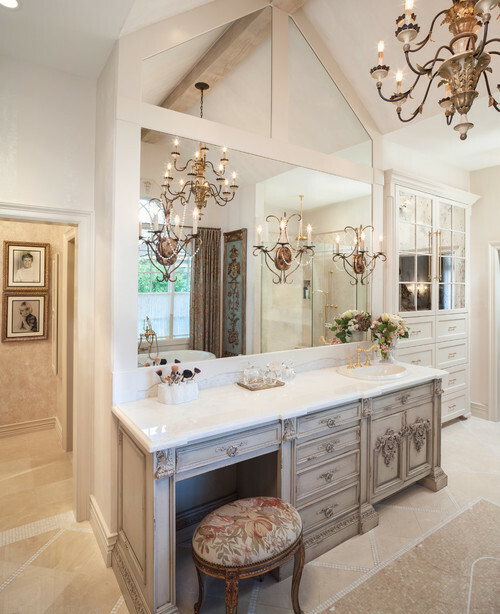 By Design Interiors, Inc. | Houston Interior Design Firm — Years in the making! 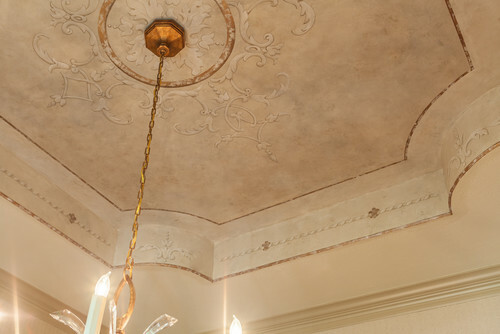 Hand painted canvas lines the dining room ceiling creating a really special place to gather with family and friends. 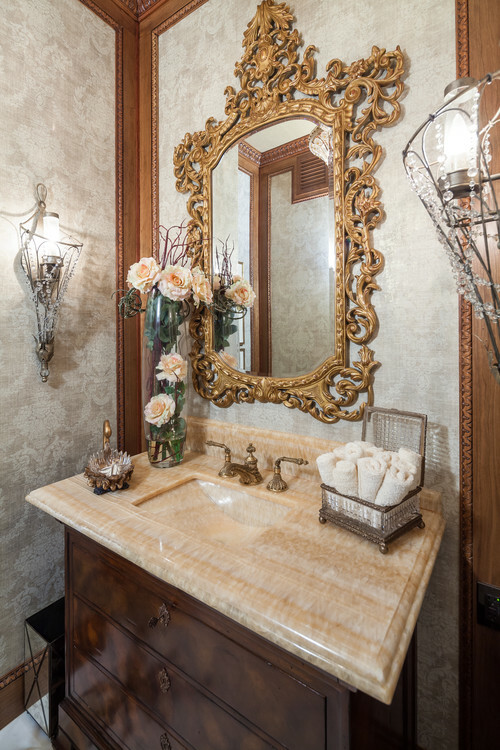 Soft patterned wallpaper encased with beautiful molding is the backdrop for with fabulous gold mirror in this powder bathroom. 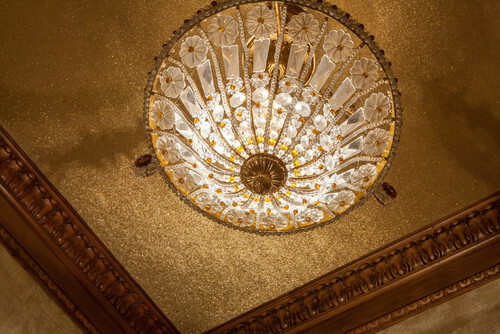 The "cherry on top" is the gold sparkle added to the ceiling. At the end of a busy day, we all need a place to relax and rejuvenate. This master suite definitely hits all the right notes. I have so much more to show you, so check back next Friday. It's amazing in support of me to have a web site, which is valuable for my experience.